I am looking forward to coming to Ballina! 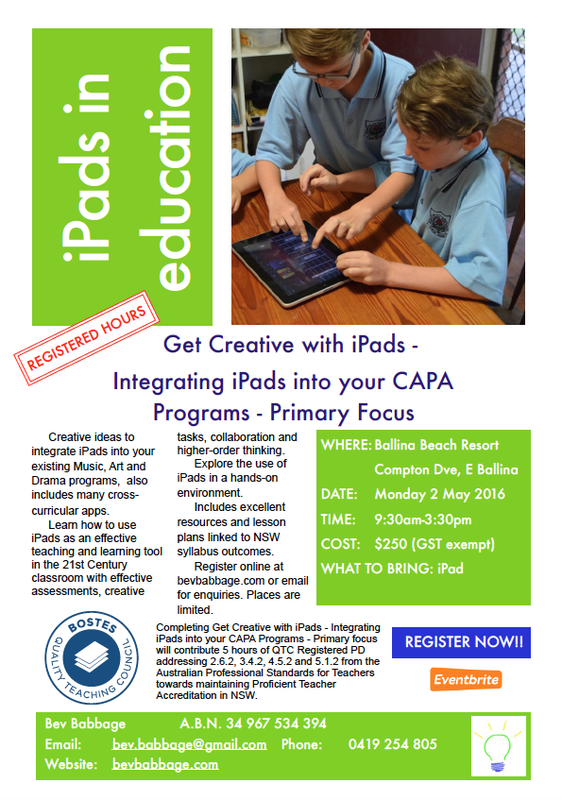 Registration is open for Get Creative with iPads – Integrating iPads into your CAPA Programs – Primary Focus in Ballina on Monday 2 May 2016. Click on image for flyer or here for more information.